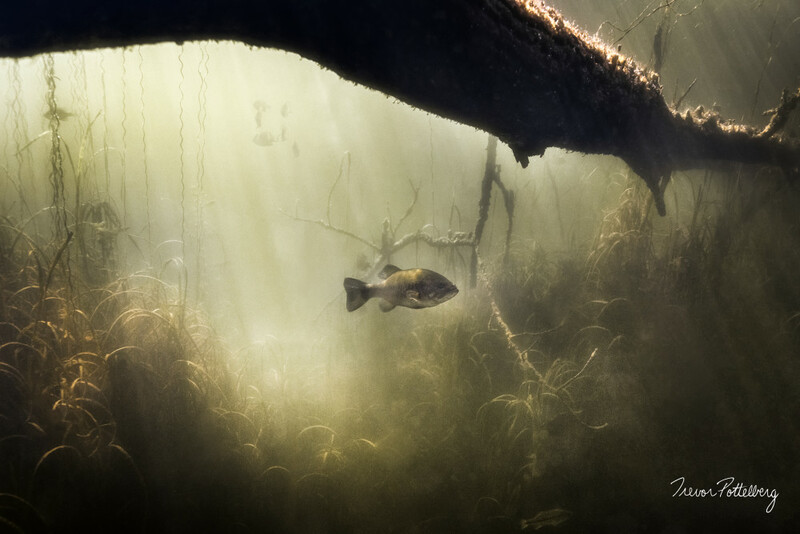 "Keeper of the Deep" - by Trevor Pottelberg, features beautiful light rays streaming down onto a mature largemouth bass who is keeping a watchful eye on it's surroundings. A school of sunfish remain cautiously suspended in the distance. Photographed in Langton, Ontario, Canada.